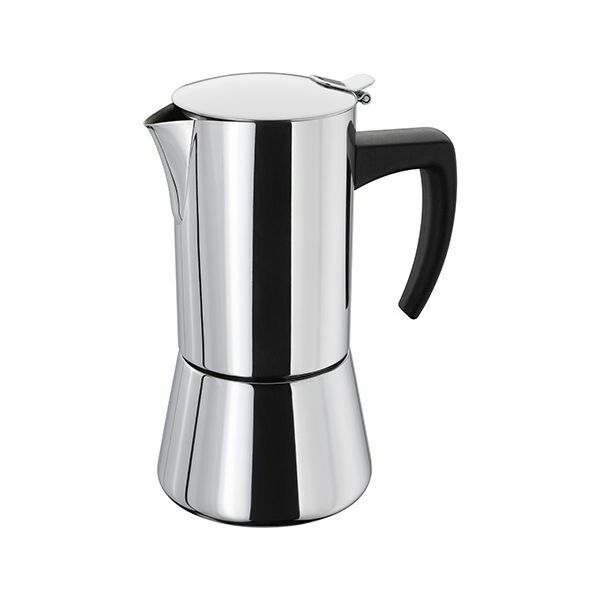 This sleek polished Stainless Steel stove top espresso maker makes 400ml or 6 cups of coffee. 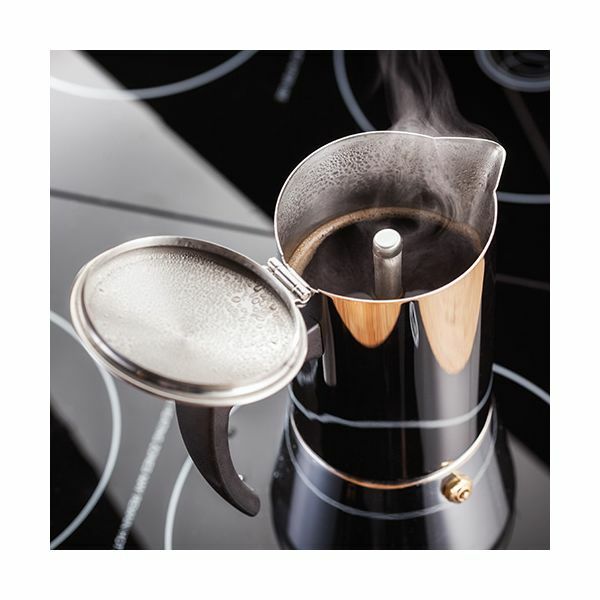 The base is suitable for all types of hobs including induction. The phenolic handles are designed to stay cool for easy handling and serving. Perfect for serving coffee at anytime due to its sleek design.